This past August, The Weeknd returned to the Mod Club in Toronto for a homecoming show promoting his new album Beauty Behind the Madness. It was almost four years to the date of his very first show at the same venue, a 600-capacity club nestled into a crook of Little Italy, and a line snaked around the block. Back then, Abel Tesfaye – you know, The Weeknd – had released a free mixtape, House of Balloons, catapulting him to a level of fame Toronto couldn’t contain. It was a show that felt special, almost historic in celebrating an unlikely star who was one of us. Today, he’s not just a kid from Scarborough: He is that pop star. Tesfaye, 25, has commandeered pop radio, covered Rolling Stone and sat front row at New York Fashion Week supporting his model girlfriend. Three weeks ago, he performed on Saturday Night Live. And on Nov. 3, he kicks off a North American arena tour with two near-sold-out shows at the Air Canada Centre in his hometown. He and I were introduced in a large gallery space on the Mod Club’s fourth floor, sealed off from the post-show heat below. I was profiling him for an American publication – he has yet to break his silence with the Canadian press – and he was surprised to learn I was from the city. Even though he’s made it, the perception persists that there are few opportunities for young people of colour here. He extended a typical Torontonian greeting: “What’s your background? Are you Habesha?” he asked, wondering if I was East African. Wrong, but I smiled. Our generation, from the browner suburbs of the GTA, are experts in geography and more attuned to the vagaries of genetics. It’s what happens when your friends aren’t just black or white or brown but, specifically, Tamil, Filipino, Persian, Portuguese, Bajan, Naija. 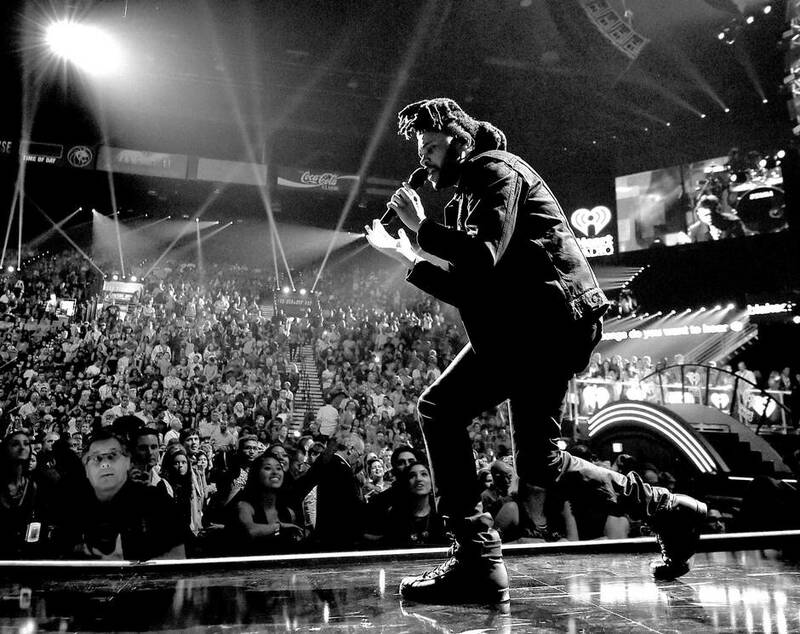 The Weeknd is the first truly Torontonian star of his generation. He is a Scarborough dude, raised within the Greater Toronto Area’s tight-knit 50,000-strong Ethiopian diaspora. Unlike Aubrey (Drake) Graham, although with his help, Tesfaye didn’t have to leave the city to make it (and, in fact, had never travelled outside Toronto before his fame). Also unlike Drake, who is of Jewish-Canadian and African-American heritage, Tesfaye’s identity is closer to the majority of racialized Canadians who also bear the imprint of recent immigration. While Drake’s West Indian and East African slang and cadence is borrowed from his friends and affiliates, the Weeknd has made a direct musical connection with the desolate, mournful madrigals of his Ethiopian countrymen. Increasingly paralleled with the slick, emotional pop of Michael Jackson, his music reimagines the motifs and sonic mythologies of his homeland: That’s former emperor Haile Selassie in the music video for The Knowing, and Amharic whispered at the end of The Hills. This emphasis on Tesfaye’s immigrant back story might not make a difference outside the GTA – Drake and The Weeknd matter at large as high-profile black Canadians – but it’s psychically substantive here, in a place where diasporic communities thrive in silos. “I was born and raised in Toronto, but I’ve always been hesitant to identify as Canadian,” says Alpha Abebe. She’s a PhD candidate at Oxford University researching second-generation Ethiopians within the North American diaspora, and is also the co-founder of Young Diplomats, a non-profit organization working with East African youth in Toronto. “I connected with a Toronto identity in the same way people associate with a national identity.” Abebe says second-generation offspring from different countries often relate to each other more easily than they do to their own elders, who don’t understand their children and grandchildren’s New-World ways. “It feels a lot more familiar,” she says. Tesfaye grew up amid this cross-cultural diversity. In some of the features written about him, Scarborough is described as “drab” and “dreary.” But its topography is more than just the strip malls and high-rises lining arterial roads, such as Victoria Park Avenue, which connects the southern edge – perched atop bluffs that overlook Lake Ontario – to the identikit new developments along its northern border with Markham. It is, most visibly, overwhelmingly immigrant. According to a 2011 city survey, more than half of the area’s population claims a mother tongue other than English, and that doesn’t even take into account the presence of a sizable Caribbean community. Young people from parts of the GTA that look like this – Jane and Finch, Rexdale, Brampton – have made contributions to the city’s popular culture, on both a mass and grassroots scale: comedians Russell Peters and JusReign, image maker Director X, theatre mavens Weyni Mengesha and Trey Anthony. But unlike Britain, where non-white actors have been on mainstream soaps for decades, and black and brown musicians, DJs and producers found professional agency through BBC Radio’s 1Xtra and Asian Network, Canada has yet to systematically invest in the cultural capital of much of its young citizenry. Tesfaye and Graham didn’t make it in a vacuum. Canadians such as Maestro, Kardinal Offishall, Deborah Cox, Tamia and Glenn Lewis created strong footholds in the U.S. music market. But they’re part of a legacy of Canadian hip-hop and R&B artists – predominantly black musicians – who have been, and still are, crowded up against a domestic glass ceiling. Drake is one of the few non-white artists who has been nominated for the Polaris Music Prize (three times; he’s never won) and the running gag is around whether he’ll ever attend the gala. There’s a sneering air to these comments. Some of those people also allege that his pop stardom and wealth make him somehow ineligible (read: undesirable) to claim the prize money. A culture of government grants has turned art into a charity doled out according to the petty respectability politics of conservative power brokers who have limited imaginations when it comes to what Canadian music is. This disconnect, or disinterest, also exists on a commercial level. Tesfaye’s success, in the hands of the U.S. label Republic Records since September, 2012, is a reminder of this failure to invest. This year alone, he’s had three singles – Earned It, The Hills and Can’t Feel My Face – peak in the Billboard top three, holding for a cumulative 83 weeks and counting. Tesfaye became aware of his singing voice in the hallways of his high school, Birchmount Park Collegiate Institute. His friends gassed him up by suggesting he compete on Canadian Idol and recorded videos of him singing happy birthday to girls on the streetcar. But the fluttering alto wasn’t just a way to woo women, a theme that plays out in his music, but a ticket out of Scarborough. He dropped out of high school and left the insular bustle of the suburbs for Parkdale, a neighbourhood that borders the Gardiner Expressway and is walking distance from the bars of Queen West. “Used to roam on Queen, now I sing Queen Street anthems,” goes a line on The Weeknd’s Tell Your Friends, a new, orchestral Kanye West-produced single. Five or six years ago, the Queen Street party scene started skewing younger, wealthier and slightly less segregated and Tesfaye was partying at the Social, a bar on Queen West that showcased Canadian electro acts, such as MSTRKRFT and Crystal Castles, through the mid to late 2000s. Genre lines were blurring; electro beget dubstep, which exploded into EDM. Laptop DJ nights lurked on the horizon. The hypnotic, menacing R&B of Tesfaye’s early releases sound-tracked the nightly missions of city kids; it recalls the smell of wet leaves and the sensation of damp toes inside shoes. Led by sullen guitar lines and dusty drums, songs such as Party/After Party, The Morning and The Knowing aren’t just unconventional dirges of insecurity and confession. You can hear the roots of his arena-sized ambitions in the textures he creates with air and his trembling voice. His new crib sits so high in the sky you can pan across the curve of the lake to Scarborough in the east and Oakville in the west. We ruminate on the successes of our fellow Torontonians. I bring up PartyNextDoor and Ramriddlz, both Drake co-signed artists who have made the west-end suburb of Mississauga part of the pop-culture lexicon that orbits the rapper. “I can’t believe guys are shouting out ‘Sauga,’” Tesfaye cracks, riffing on decades of east-end, west-end rivalry. When he talks about what success means in the context of Toronto, it’s tinged with this sense of awe. Tesfaye’s success is a foil for immigrant ennui in a city that hasn’t yet figured out that its competitive advantage – its superpower – is its multicultural youth. It’s a testament to the new Canadian dream, pushing back against outdated ideas of propriety and leapfrogging over the protectionism of CanCon in search of notoriety, of economic stability and a reality that isn’t held back by geography. 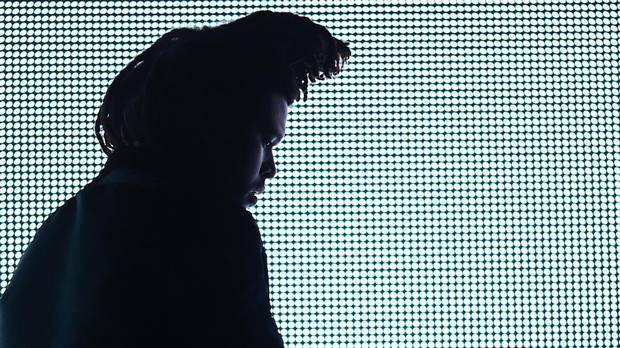 Whether casting a heavy-lidded stare across the set of a music video or dancing amid pyrotechnics on stage, Tesfaye is transmitting a coded message to first-, second- and third-generation Canadians reared in churches, tight-knit communities and Saturday language classes. It’s a special kind of pride. As with Abebe and Amanuel, so many of us are conditioned to assume this place will never accept our dual identities, but The Weeknd’s success is a reminder that we’re here.